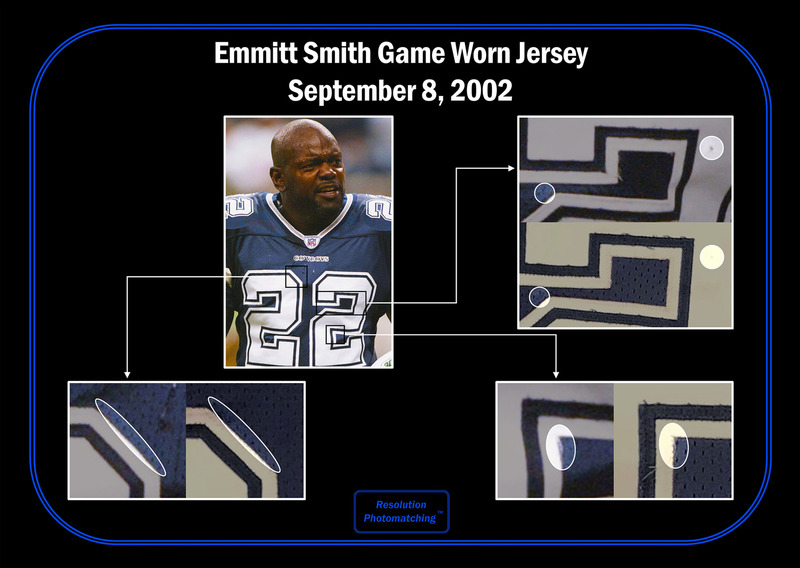 Emmitt Smith holds the crown as the all-time leading rusher in NFL history as he eventually surpassed Barry Sanders and then Walter Payton. 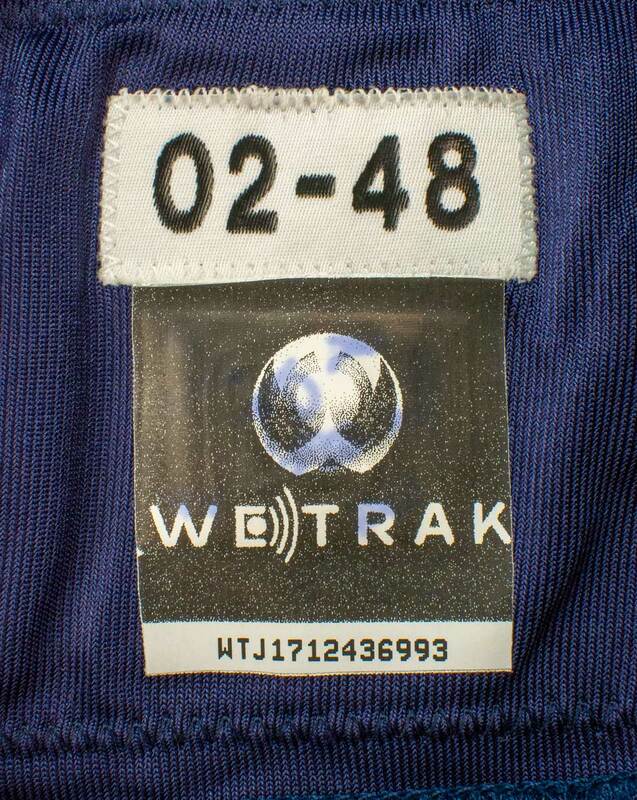 Jersey Specs/Tags: Reebok / Tagged "02-48" / Size 48 / WeTrak Chip Tag that reads "WTJ1712436993"
Wear Details: The jersey displays solid wear with fraying, loose threads and a few hit marks in the shoulder areas. 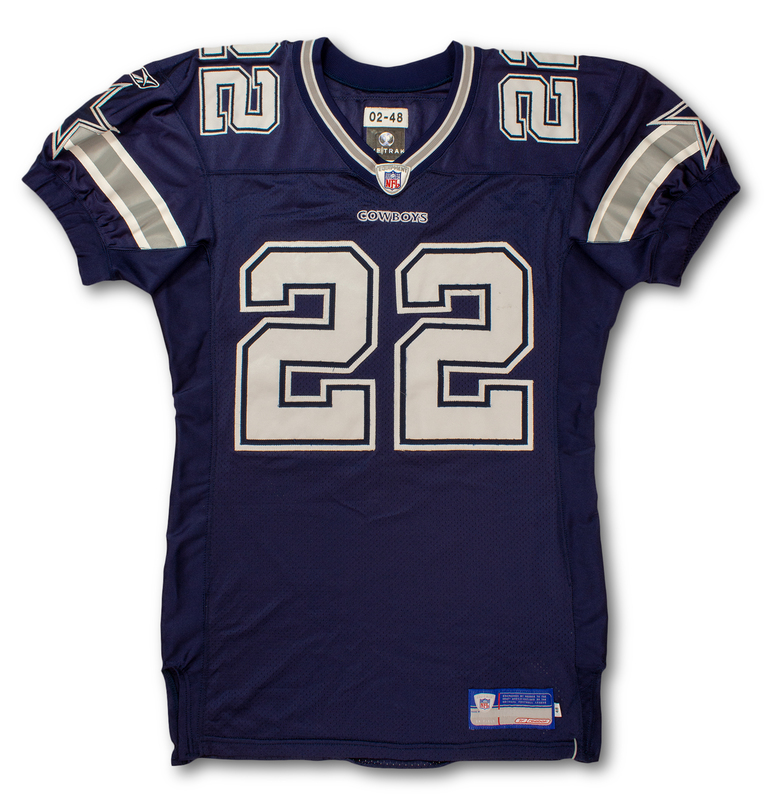 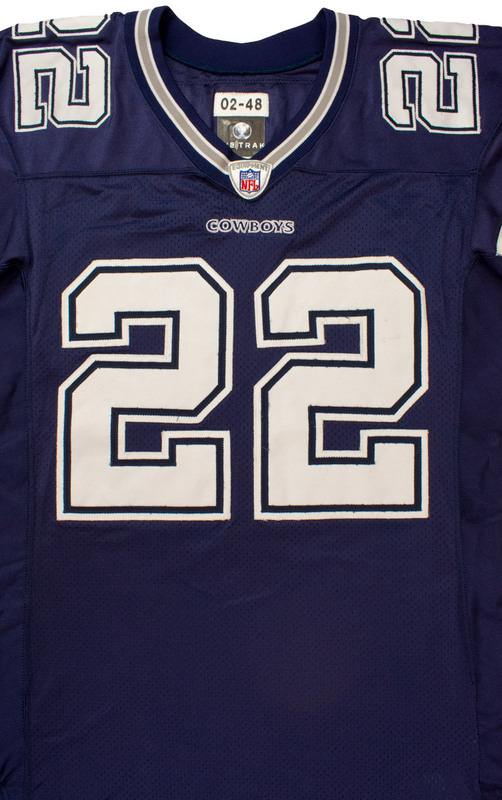 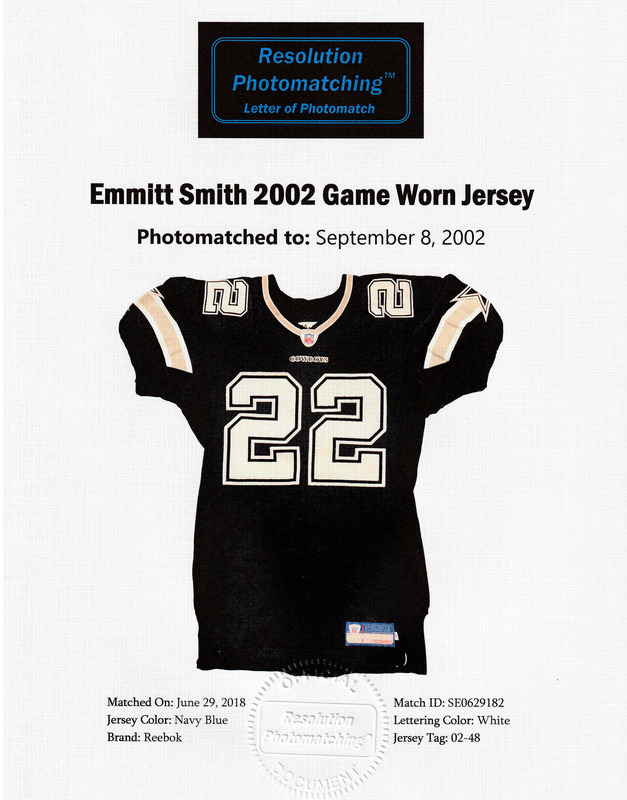 This jersey shows were that is consistent with multiple game used as there is excessive fraying around the navy borders of the numbers from multiple washings. 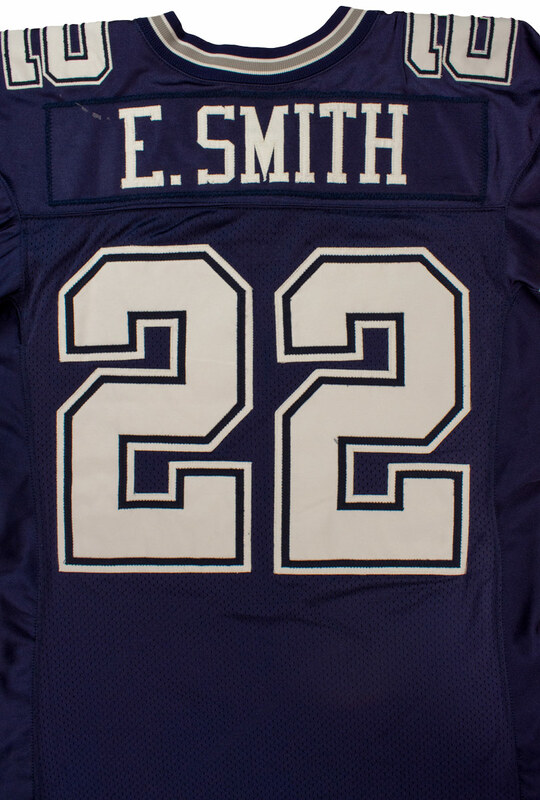 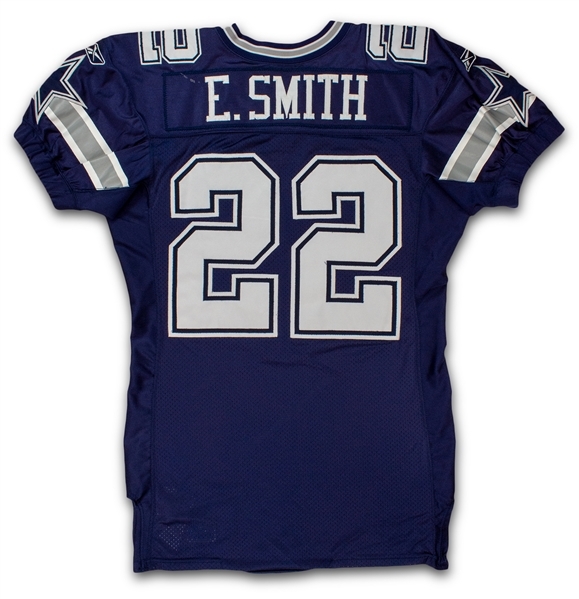 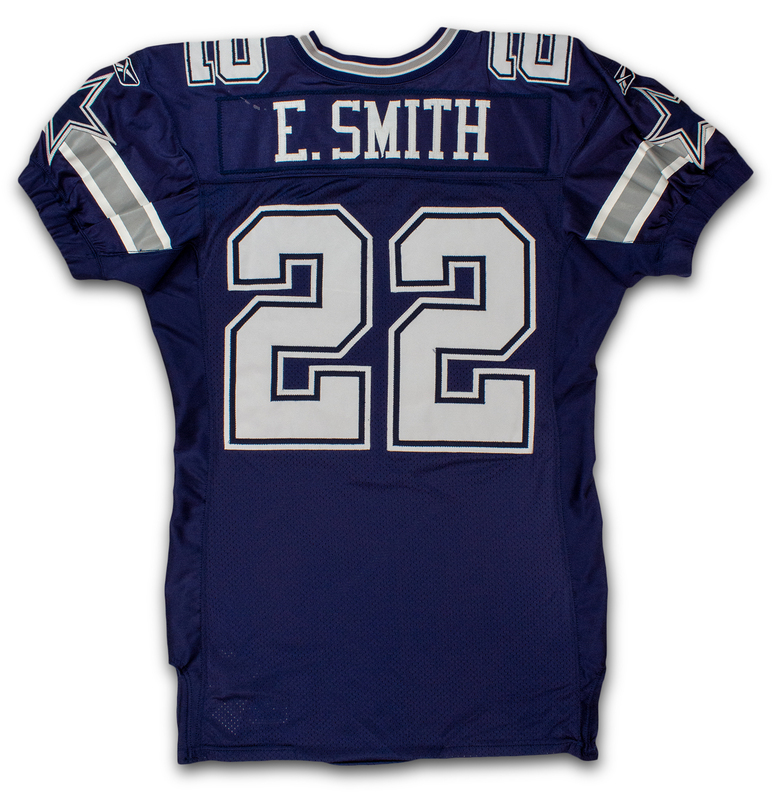 Authenticity: LOA signed by Emmitt Smith, Photo Match LOA from Resolution Photo Matching.